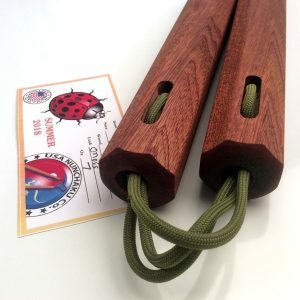 The nunchaku (Japanese: ヌンチャク Hepburn: nunchaku?, often “nunchuks “, “num-chuk”, “danger sticks”, “juan-tuo”, “chuka sticks'” or “chainsticks” in English) is a traditional Okinawan martial arts weapon consisting of two sticks connected at one end by a short chain or rope. 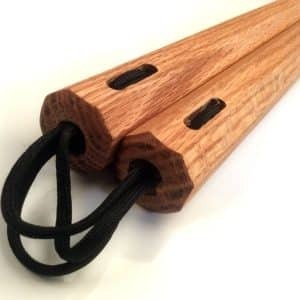 Used by Okinawan nobles, it was not a historically popular weapon because it was ineffective against the most widely used weapons of that time, and because few techniques for its use existed. 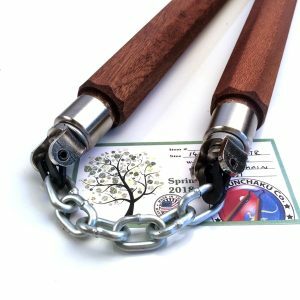 The two sections of the weapon are commonly made out of wood, while the link is a cord or a metal chain. The nunchaku is most widely used in martial arts such as Okinawan kobudō and karate, and is used as a training weapon, since it allows the development of quicker hand movements and improves posture. 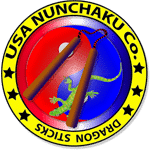 Many varieties of nunchaku are available. 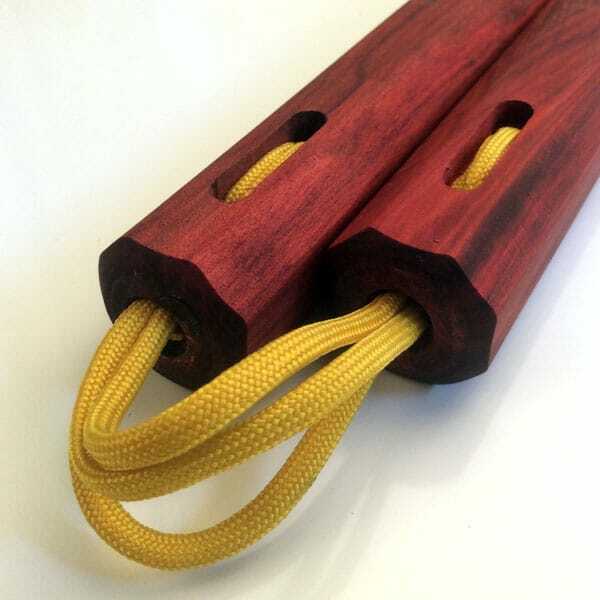 Classical nunchuku dimensions conform to their user’s anatomy. The linking chain is the length of the back of the user’s hand. 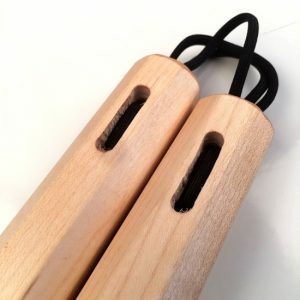 The two sticks are as long as the distance between the user’s wrist and elbow. These dimensions are optimal, they allow the execution of many maneuvers. 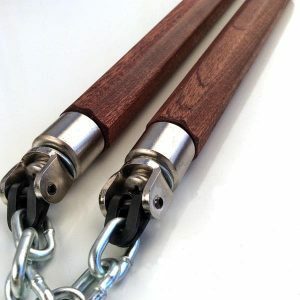 Also known as nunchaku, nunchucks, chucks or chain sticks, originally a farm tool used to harvest rice, it developed into a traditional Okinawan weapon and consists of two sticks connected at their ends with a short chain or rope.